Recognita is a lovely Turkish plant which causes me much grief because of being unco-operative and not wanting to live in my garden. On my first visit to Betsy Clebsch’s garden flower stems of pretty pink flowers stood over Betsy. This was at a time when Betsy’s garden was fairly new and there was lots of sun. These days trees have grown. Seed is not too hard to come by if you search the world’s sources. It sets a fair bit of seed. Plants are rarely offered in Australia but I am always hoping to have some to offer. Recognita is cold and drought hardy but maybe has soil preferences. It definitely would not grow in humid conditions. 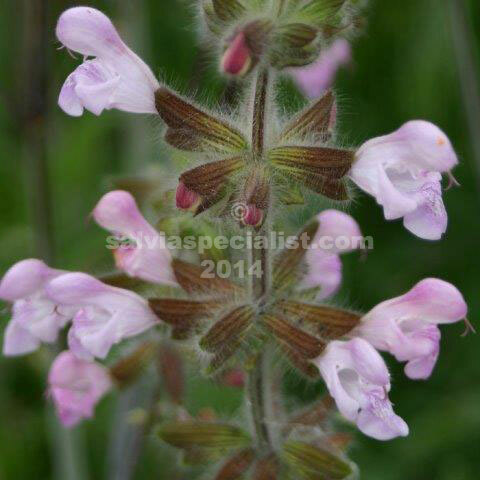 Craig Irving thinks that all the Turkish salvias dislike crowding. He often has plants for sale at his garden, Sunnymeade, near Euroa but he doesn’t mail order. They are certainly more demanding than most salvias because of their watering problems.